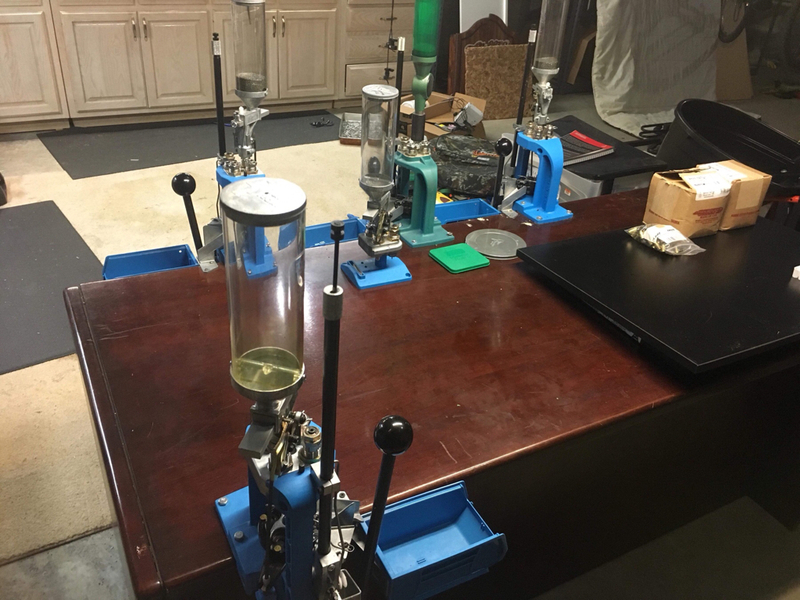 Reloading progressive press? Hornady? Dillon? 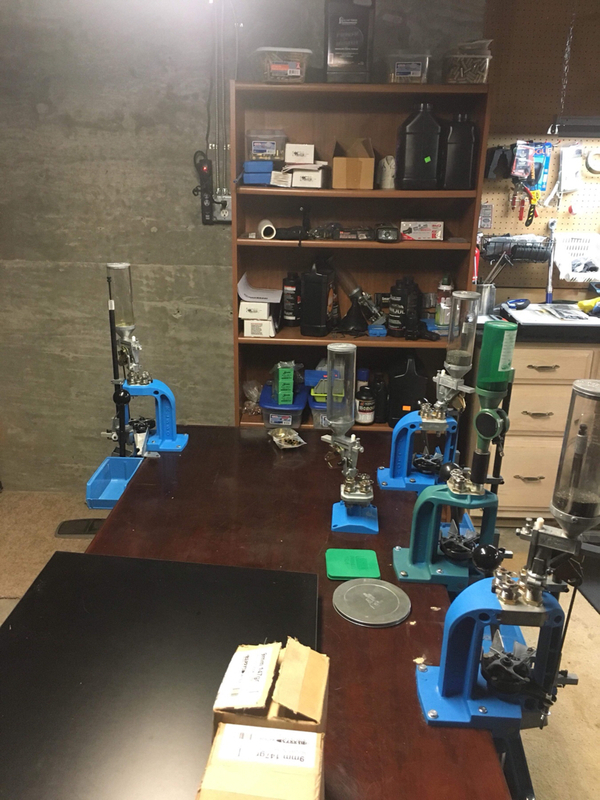 Re: Reloading progressive press? Hornady? Dillon? It is really simply. If you want a case collator, buy a Dillon. Without a case collator, I found the 550 and 650 to be PITA, so I was happy to go back to my Hornady. So, decision point: Do you want a case collator? noylj wrote: It is really simply. If you want a case collator, buy a Dillon. I don't run a case collator on mine and it works just fine. Handle down (sizes/deprimes station 1, powder in station 2; belling for straight walled cases, seat bullet on station 3, crimp on station 4), handle up and press (seats new primer), rotate, add case on station 1 and bullet on station 3. Rinse and repeat. At a reasonable pace that I don't mind keeping up for awhile and that I feel I'm paying enough attention, I can do about 350-400/hr with overhead. The more automated the setup (e.g. case collator), the more setup time that is required and less practical that setup becomes. I load about 500-2000 in a sitting, so the 550B is just right (or a 650 if you want the features). If I was loading 20k+ rounds a year or greater than 2k in a sitting, I would jump to the 1050 for the main calibers. FATAL: Module commonsense not found. With the Dillon 550 and 650 you have to take your hand off the handle and drop a case in the on-press case "feeder". With the Hornady, all bullet and case action is done with the left hand and the right stays on the handle. Once you are used to using just your left hand for cases, having to use your right is uncomfortable. I know that you can fill a plastic tube with 20-25 cases, but that then involves stopping and manually filling the tube. So, for me, without a case collator, I don't want a Dillon. noylj wrote: With the Dillon 550 and 650 you have to take your hand off the handle and drop a case in the on-press case "feeder". With the Hornady, all bullet and case action is done with the left hand and the right stays on the handle. So you prefer to do two separate actions with the left hand while the right does nothing over doing one with the right and one with the left practically at the same time? To each his own. a progressive must have at least five die stations and be auto-indexing. This leaves the hornady L-N-L AP, the Dillon 650, and the Dillon 1050. If you don't need a case collator/feeder, get the Hornady. It is easy to use and caliber conversion consists of a shell plate (though each shell plate is good for several different cartridges) and enough die bushings for your set-up. If you need a case collator/feeder, get the Dillon 650 or 1050. Caliber conversions are more expensive and take longer, but the presses are designed for the case collator/feeder. I looked at an RCBS progressive and it seemed to be no better than the Hornady (if that good) and was priced well into, if not over, Dillon 650 and case feeder price range, so I haven't paid it any attention. 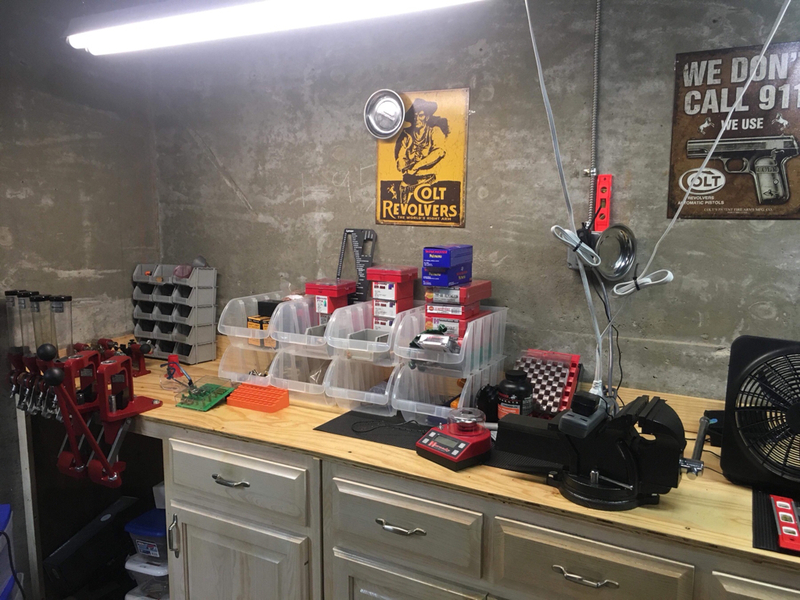 I started at a young age reloading on an old Lyman C press, progressed to a Rock Chucker and then two Dillon RL300 presses. I now have two RL550's, a good single stage plus a Reding turret. Both pistol and 30-06 cast loads are done on the Dillons with the others reserved for Jbullets. Dillon got my business in 79 with the first 300. Definitely Hornady is better and Hornady Lock N Load Auto-Progressive Reloading Press is one of the best progressive press on the market . 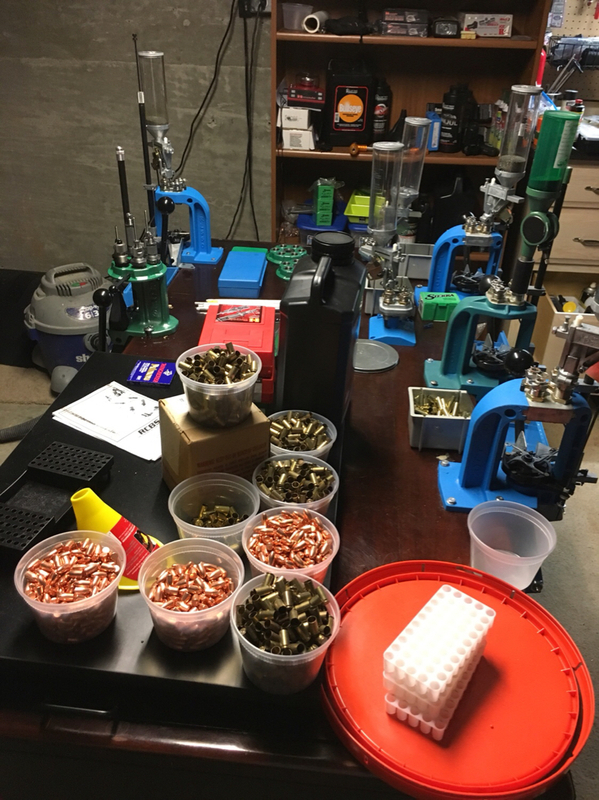 I'm new to reloading, but I shoot a lot so instead of doing what every beginner should and buy a single stage press I saved up a little and got the AP press due to the fact I knew I would use it a lot. But after it came I quickly realized it was far more technical than I expected. I found out there were a lot of parts I still needed and a lot more money that still needed to be spent. I was fine with it bet I knew I would have to save up for a little bit to get it all. 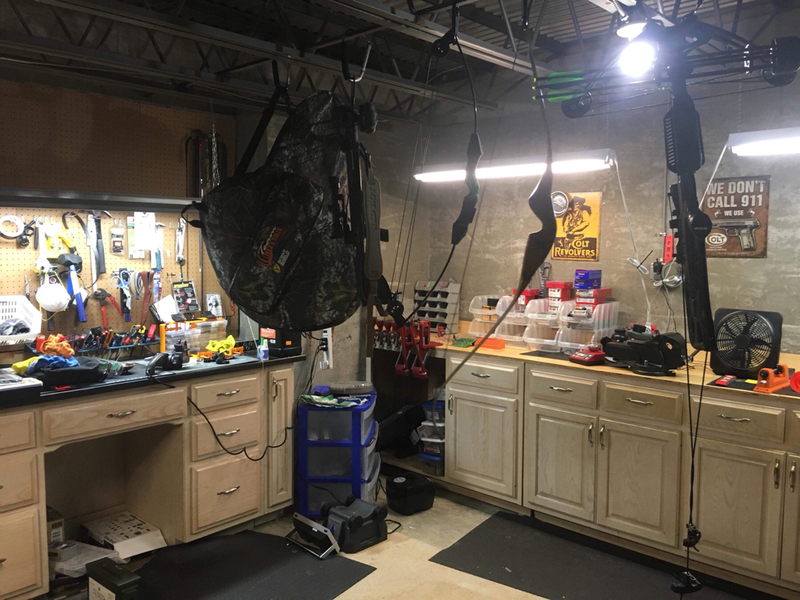 But after about 100 hours of reloading YouTube videos and four months I was able to actually start reloading. Wishing I had a guide right off the bat to tell me what I need and why I ended up making one for any other new beginner. So here it is. I have been reloading for a few years now, starting out with just 45 ACP, then 357 Magnum. My friend introduced me to 44 Magnum, gave me his Dillon 450 with the S&W 629 PC that he sold me. I became hooked on recoil. 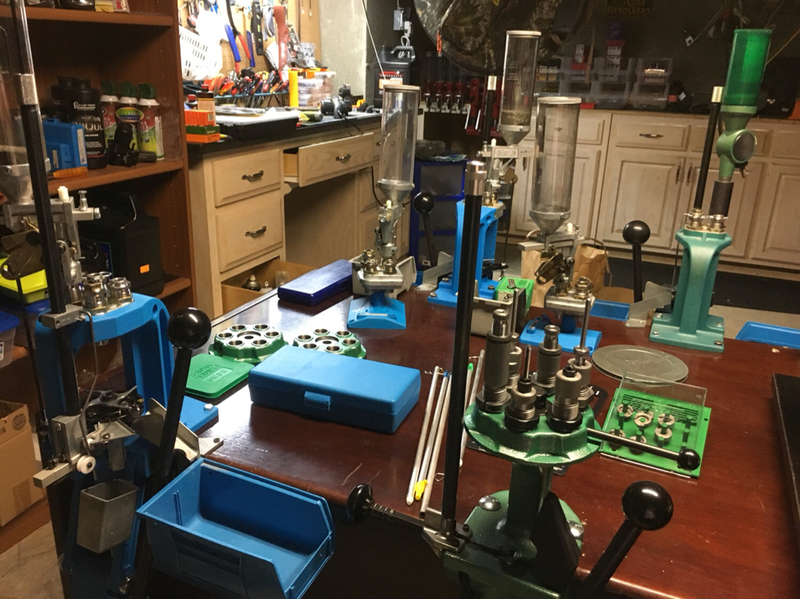 I started reloading 454 Casull, 460 S&W and 500 S&W on a single stage. To facilitate a faster process, I have separate powder drops for 500 Magnum x 2 (500 grain bullets, 350 grain bullets), 454 Casull and 460. One day I was talking to a new friend saying I wanted one of those automated reloading machines that I saw for around $3k. She said she wanted to sell her Dillon 550, so after a good deal, I decided to jump on it. The advantage is that each station has a load I can specifically work on in a few minutes. The disadvantage is that I see space for two more progressive presses. 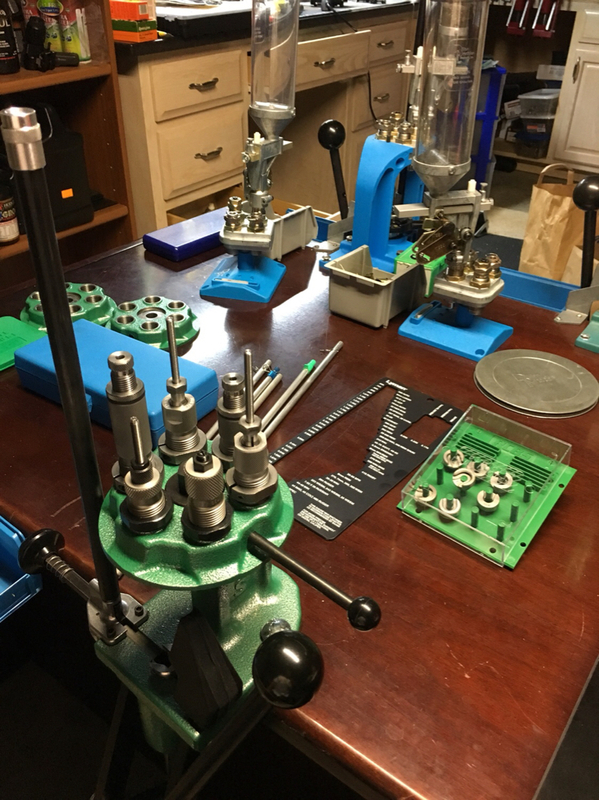 Updated to add an RCBS turret press for rifle ammunition. I’ve been reloading 9 mm so it has been cluttered on the desk. Dillon is great for speed and simplicity. Dies are secured to the press and lock, but you can also release them by a pin. Makes for maintenance easy. I use compressed air from a can to get particles out. For my Lock and Load Hornady, I clean everything after I use it, and restore dies in their respective boxes. I just acquired an RCBS Turret with 3 turrets. I still need my rifle components. I am preparing for my suppressors coming this month.